Are you experiencing sputtering faucets, low water pressure, or no water at all? Your well water pump may be the problem! A failing water pump is the most common cause of water pressure issues. When you discover that your water is no longer running, the first step is to check your electrical panel to identify whether you’ve tripped a breaker. If the breaker connected to your well water pump is in the ‘off’ position, your pump is not receiving the power it needs to operate, and your solution may be as simple as switching it back on! If this is not the source of your problem, there are a number of issues that may need to be addressed. What’s Wrong with My Water Pump? Common Well Water Problems and Their Causes. Repairing small well pump problems can save you money by helping to avoid a more significant issue that requires a complete replacement. At the first sign of a problem, call the experts at Ayers to schedule a water pump inspection. If your faucets are sputtering, intermittent, or providing an inadequate stream, the problem is likely related to your water pump. A crack or leak in the water lines connecting your pump or a failing motor can significantly reduce the water output. If these problems are not addressed, the problem can worsen and result in a complete loss of water. If your current pump was not properly sized for your property, it could result in reduced water pressure when too many appliances are attempting to utilize your well water simultaneously. The team at Ayers can determine your needs and replace your current pump with a higher-capacity model that is more appropriate for your property. As your pump ages, certain parts are prone to wear out and fail. Failing parts can result in your pump not correctly cycling on and off, which leads to higher energy bills and a burnt-out motor. If you notice that your pump seems to be turning on more than usual, contact the team at Ayers to determine whether it’s time for some much-needed maintenance. 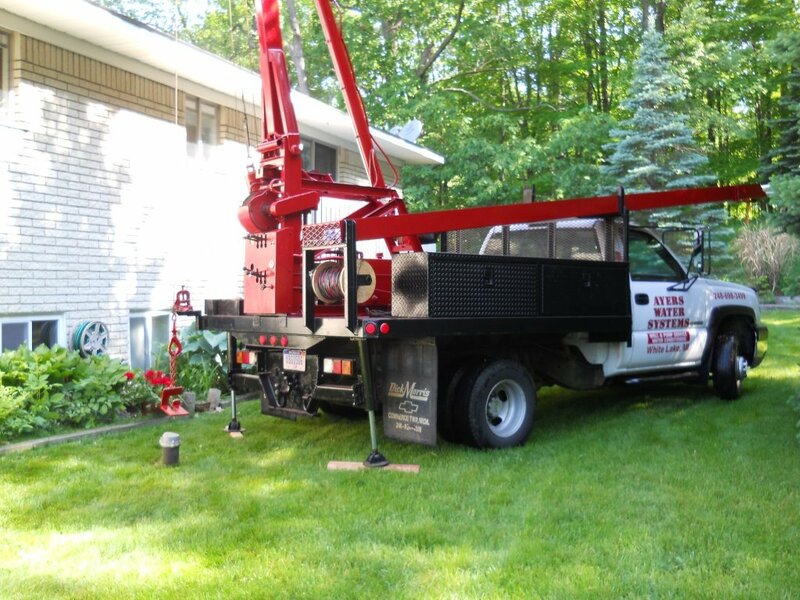 The team at Ayers Water Systems, Inc. has been providing a complete range of well pump repair services for Michigan families and businesses since 1970. Our decades of experience make us a trusted choice for ‘everything well’ in Oakland County and the surrounding areas. Call us at (248) 891-0378 to schedule an appointment, and we’ll have your water restored in no time!